Gemini have a broad customer base, across numerous industries, Radiological Protection, Environmental Services, Food Industries, Health Physics, Research & Development, Material Handling, Production lines. 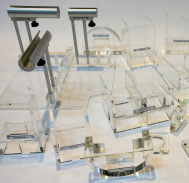 We are always providing customers with bespoke solutions, here are examples of equipment we can supply. 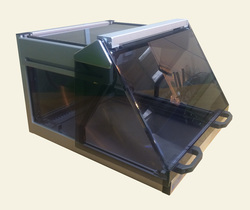 Gemini have produced a number of instrument enclosures to safely encase a range of dosimetry instruments. These ensure the equipment meets the most stringent uk safety standards. Easy to operate, and available fully integrated with a safety system built in. 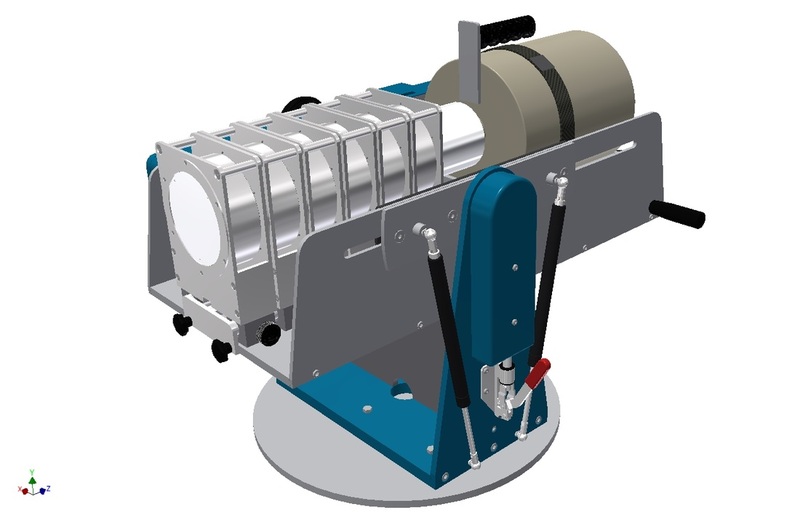 A recent project saw Gemini design and develop fully adjustable supports for Ge Detectors. The detector would be looking for high levels of Gamma radiation from Glove boxes typically. 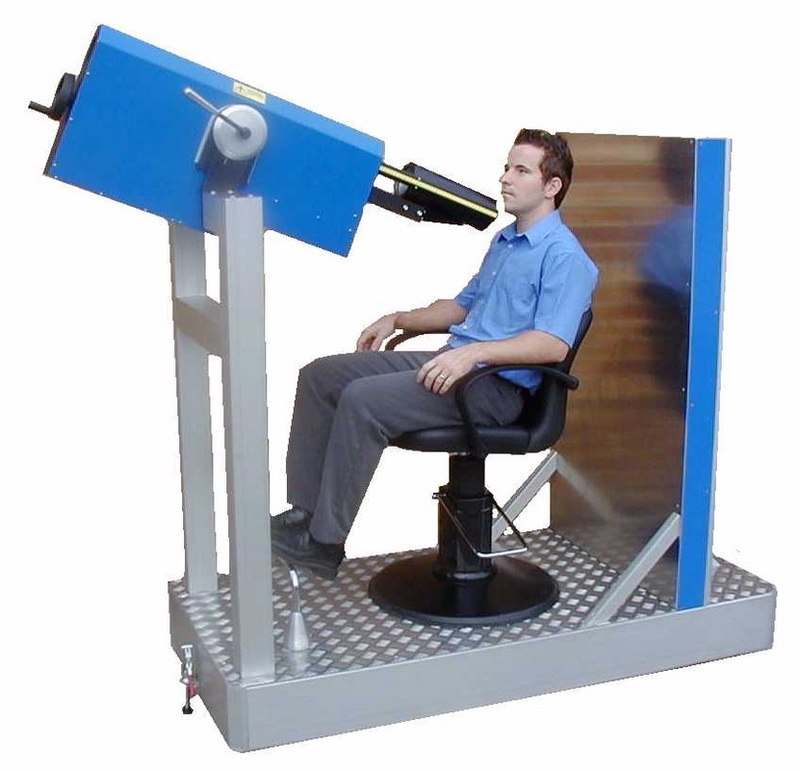 These stands have 4 ranges of manual movement, and full locking capabilities. These supports would work with many other types of detectors. 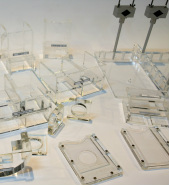 Gemini can design and manufacture jigs to hold securely, any type of radiological instrument in-situ whilst undergoing calibrations. Pictured are a selection of Jigs recently produced. Gemini recently produced a 100mm thick lead walled box clad in stainless steel to house a Spark Generator. The box was then fixed to a custom made super strong bench to our customers requirements. 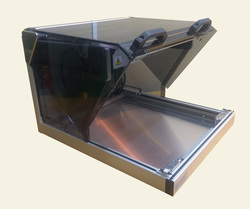 Gemini produce, as accessories to our TLD handling equipment, Jigs for loading TLD's into their respective cartridges, this can be a laborious process, but with Gemini's 25 or 40 cartridge jigs, this process can be sped up enormously. This is merely a small example of some of the many and varied equipment we have produced, please contact us if you think you may have an application we can help you with. However big or small.